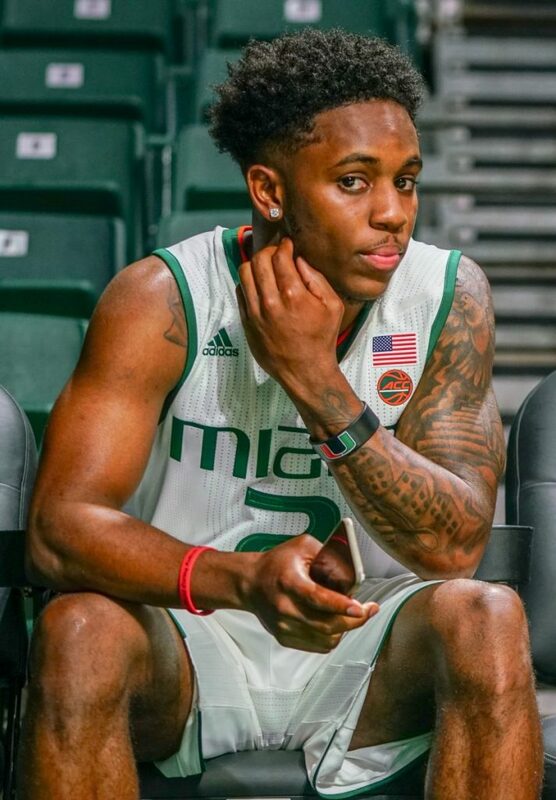 It’s a message that 5-foot-7, 160-pound Chris Lykes has tattooed across his chest and a motto he has lived by his entire life. Lykes, a freshman at the University of Miami, was ranked No. 48 as a recruit on the ESPN Top-100 list. Described as an explosive point guard with the ability to attack the basket and shoot from long distances, he was a highly-coveted prospect. Lykes, a native of Mitchellville, Maryland, averaged 22 points and more than four assists per game while shooting 47 percent from the three-point line in his junior season at Gonzaga College High School. He was named Washington D.C.’s Gatorade Player of the Year that season. That’s when he started getting calls from some of the best basketball programs in the country. 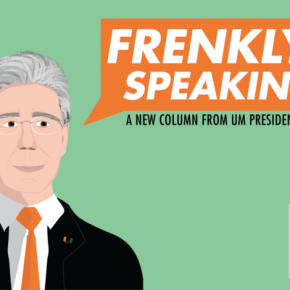 In November 2016, he decided to go with the major school that gave him his first offer, UM – a place where undersized guards, such as Shane Larkin and Angel Rodriguez, excelled. Lykes has carried a chip on his shoulder since he was young. Whenever he gets on the court, his motivation is to show people not only that he belongs, but that size doesn’t always matter in basketball. He has never looked at his size as a weakness, choosing to be thankful for his talents and embracing the challenge. Lykes, a high energy player whom Miami coach Jim Larrañaga has compared to 5-foot-9 NBA All-Star Isaiah Thomas, has translated this mindset into an attacking mentality on the court, which helps him succeed no matter who he is playing against. The Miami coaching staff and players look at Lykes’ size as an advantage. Because he stays low to the ground with the ball in his hands, he’s that much harder to guard when he uses his speed and agility to get past the defender. No one can attest to this more than fellow freshman guard Lonnie Walker, a five-star recruit out of Reading, Pennsylvania. During a span of just a few months, Walker and Lykes have become best friends. They even refer to themselves as “twin brothers” because of their similar personalities. Walker calls himself Lykes’ biggest fan. Lykes is also changing the academic narrative for collegiate athletes. He wants to study mechanical engineering while at Miami and has talked about his passion to build. Lykes is expected to be the “energy guy,” to push the pace, make plays and score as soon as he comes off the bench this season. Miami’s 2017 opener against Gardner-Webb University is set for an 8 p.m. tipoff Nov. 10 at the Watsco Center.